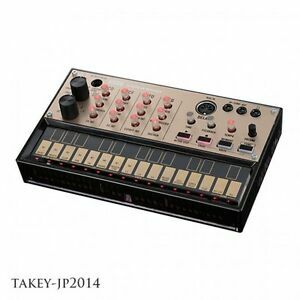 takey-jp2014 has no other items for sale. New! KORG DJ for Effector Sampler KAOSS PAD Chaos Pad KP3 + from Japan Import! This little synth box is would make awesome addition to your analog collection. It mixes old synthesizer technology with modern interfaces very well. It has a touch screen for a keyboard and the knobs and programmability is easy for to use for someone just getting into analog synths. I also just recently figured out how to connect its midi port to my DAW so I can program it to play entire songs and not just sequences. You can also use the midi in port to connect it to a full sized keyboard. 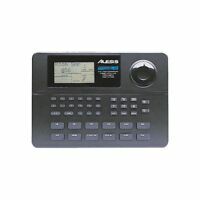 The only thing I wish it had was a screen to show me the number set of its tempo knob so I can get specific tempos but this can be fixed externally with a DAW or by connecting it to its cousin the volcabeats. This is a cool little analog synth, but IMHO, the price of a brand new one from Korg is too much for what it does, especially since it doesn't even come with a power adapter. To get a bundle like this, gently used, with power adapter, in perfect working order, is awesome and the price was just right. As for the device itself, the motion sequencing is its greatest feature. I wish it had an aux input so I could run another instrument through a motion sequence. You can get some interesting sounds out of it, but due to the only oscillator waveform being saw, you're pretty limited here. Playing with external keyboard via midi is a must. I have medium/large hands. The controls that can be sequenced are obviously digital, otherwise they wouldn't respond to midi messages and you wouldn't be able to sequence them. Because of this, there is definitely some audible stepping that you can hear, especially when manipulating the filter cutoff. The delay is a nice feature, but it is very noisy. This unit, in general is pretty noisy. If the price were right, I would rate it 4 stars. I'm basing my rating off of the manufacturer's price. I love the whole Korg Volca Line. The Keys is one of my favorite in the series, it's mandatory. Great for learning analog synthesis. The different voice modes sound really good. Super easy to operate. It's small, portable, takes batteries, has a built in speaker. You can't get anything like it really for its price. Love my new Korg synthesizer! I am still learning to use it. The instructions are not very good. I am still learning to use my Korg synthesizer. I have it hooked to my Korg sequencer and my Yamaha keyboard. I can make the most awesome sounds with it. Sounds that cost $10,000 in the seventies are no problem! It is very small but is very big on sound. I am recording my first song using it and my Yamaha keyboard together. I am teaching myself to play the piano and I write my own music and lyrics. The Korg adds exactly the sound I want when I want it. The instructions are a little vague but I am learning more every time I use it. The knobs are small but manageable. The keys are very small too but I can get buy. For the price you can't go wrong! I will buy a charger for it as it did not come with one but the built in battery monitor lets you know when the batteries are low. Actually I am still using the batteries that came with it. All in all the Korg is an awesome addition to my music and I am very pleased with my purchase! Volca Keys is a great place to start. Great beginner synth. Super fat filter section and tones for such a tiny module. Wish it came with an AC adapter though. Great when used as a module through a MIDI keyboard. I give it's transport functions and automation a 5 star. I can't believe all the things they packed into this tiny synth! Love the solid build and retro vibe.